KiCKASS WiTCH : Putting The "K" In Magick: EVERY WiTCH WAY : An Interview with Shonna Hill of Galaxy Tone - tarot apps... and Aces Of Star Tarot. 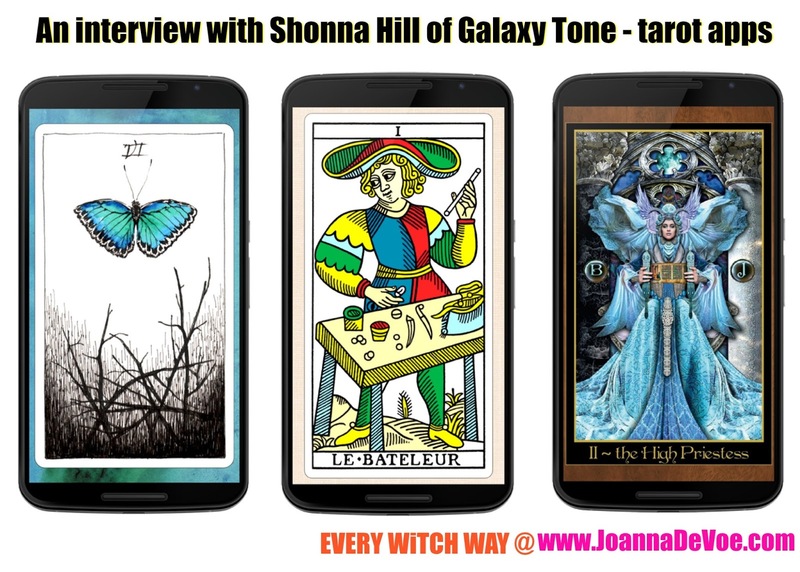 EVERY WiTCH WAY : An Interview with Shonna Hill of Galaxy Tone - tarot apps... and Aces Of Star Tarot. Shonna Hill may be something of an introvert, but she is certainly not shy when it comes to putting her ideas to work on the internet. She (along with her husband & biz partner, Chris) has had a major hand in changing the modern metaphysical landscape by introducing us all to the fascinating world of tarot apps. ★ Visit Galaxy Tone to pick up one of Shonna's awesome tarot apps. ★ And then- check out some of Shonna's kickass spreads at Ace Of Stars Tarot. Great app idea! Looking forward to it becoming available on Apple!